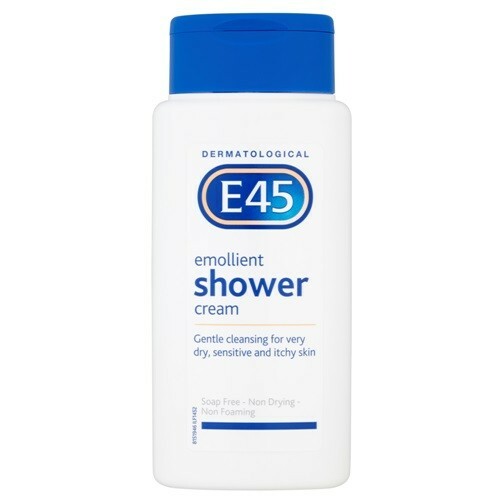 E45 Emollient Shower Cream is a non-drying soap-free shower gel for treating dry itchy skin. Free from detergents and perfumes it gently cleanses and moisturises leaving skin feeling soft clean and more comfortable. Clinically proven and recommended by dermatologists it can be used for eczema dermatitis and psoriasis. Apply to wet skin, massage gently then rinse off. Take care not to slip.